If you're still looking for holiday gifts--especially for that person who likes gadgets and electronics--here are a few recommendations. 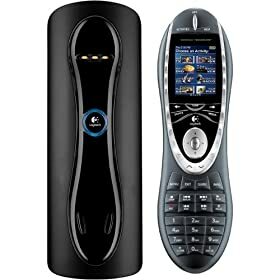 Harmony 880 Remote Control $249.00 - This universal remote controls all your audio-visual components, including TVs, stereos, video games, DVD players and more. It plugs into your computer via USB. This device has taken me from three remotes to one. This model uses a lithium battery that can be recharged on a docking station. 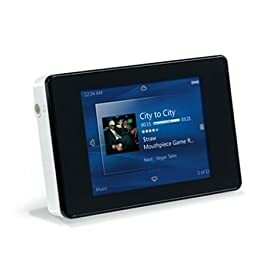 iRver CXW-2G Clix 2 GB Digital Music and Video Player, White with Urge Music Subscription - The matchbox-size iRiver Clix player holds 2 Gigabytes of music and has an intuitive design. You click the edges of the player to navigate, instead of using a button or wheel. The Urge Music Subscription has been one of the best investments I've ever made. Not only can I listen to the entire Urge catalog on multiple computers, but I can download these songs to my Clix. I've listened to more new music in the past five months than in the past three years. Palm Treo 700w smartphone - I bought this phone because I was tired of carrying around a cell phone, Pocket PC, and a laptop. The phone has literally changed my life. I have an Internet connection almost anywhere, via the broadband cell network. I have all my contacts in my pocket. I can read my work e-mail and Hotmail on Pocket Outlook. I can take 1.3 megapixel pictures. The thumb keyboard is a little clumsy, but it's better than using a stylus. RokuSoundbridge M1001 - This handy device allows you to access your computer's music and picture fi les from any location in your house via a wireless connection (you need to set up a wireless network first). The Soundbridge also works with Windows Rights Management music services, like Urge. As long as you've downloaded the music files to your computer, you can listen to them through the Soundbridge. Soap Genie Automatic Soap & Lotion Dispenser - More and more bathrooms have motion sensors in the sinks, soap dispensers, and towel dispensers. Just put your hand under the Soap Genie, and it automatically dispenses soap. It even plays a little tune if you want it to (I shut that off almost immediately). The only problem I've had is the sensor sometimes gets stuck, dispensing ALL of the soap on the bathroom counter. Solar flickering lantern - At night, this lantern looks like three flickering candles. By day, the lantern recharges with solar panels. I'm thinking of buying another one. Shiatsu massaging pillow by Brookstone - I bought the first generation Brookstone shiatsu massager, and it's always the massager I turn to when I have muscle aches and pains. Well worth the investment. Princeton Tec Aurora Headlamp - Forgot about those book-reading lights; the Tech Aurora Headlamp is the best reading light I've ever owned. Plus you can take it on camping trips or dog walks. SanDisk 2 Gigabyte memory card - Memory has become so cheap in recent years. This card holds 2000 megabytes of data! This card fits in many digital cameras, PDAs, and other devices. Bacon of the Month Club - I heard about this on some radio show the other day. I guess this company sends you different kinds of bacon every month. The guy on the radio said it's the best gift he's ever received.